The other day I wanted to paint some flowers, so today I have not one…but two videos on how I painted super cute and easy abstract flowers with acrylic paints. I wanted to paint flowers because I had this beat up notebook sitting on a table and I was doodling a lot of flowers over the last few weeks anytime I was sitting there and talking to someone. I filled almost half the notebook with doodle flowers. So, of course I had to paint some flowers! The first painting was super fun to make. I started out with some acrylic paints on Canson XL 9×12 watercolor paper. The watercolor paper is great because it’s thick and can take a lot of abuse. Not that I am mean to the paper of course…but it definitely withstands lots of water and paint without getting too wrinkled. You can watch me paint this painting in real time in the first acrylic flowers painting video I uploaded to YouTube. I didn’t use gesso with the watercolor paper because I sort of wanted a softer pastel look for the background, and so in this use it wouldn’t really be necessary unless I wanted to get really deep rich colors out of my paints. I also knew I’d have lots of layers for the paint to grip to by the time I got near the end of the painting. Once I had the background started with some big paint strokes, I used my handy dandy Nicole heat gun to dry the first layer so it wouldn’t bleed into anything else. From there I switched over from paint to Neocolor ii water soluble crayons. I really love combining those crayons with acrylics because they blend in and just add more to all the pretty layers of whatever it is I am making. Once I was happy with that I went back to my acrylic paints to start blending and adding more details. You can sort of see how the crayons blend in with paint as we build up more and more layers. In this part of the painting in video I explained a little bit about the differences with titanium white and zinc white paint. 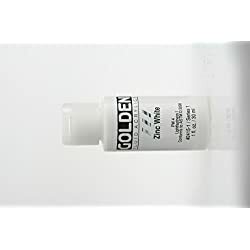 The Golden Fluid Acrylics zinc white paint is almost translucent, but you can get a similar effect by watering down regular white paint as well. I also used one of my favorite paints in the final layers of the page, Golden Fluid Acrylics in Green Gold. It’s one of my favorite paints and best paint investments over the past two years. It’s a teeny tiny bottle, but a very little goes a long way, it’s a must for flower painting in my book! These were so very, very fun to make and I was thrilled with how they came out. I didn’t have any set idea really of what I wanted to make other than “a field of flowers” and I just love it. Seriously just looking at the painting makes me feel happy! I am experimenting with a couple of different video formats, with the quick sped up version on my site and then the longer in depth videos in real time on our YouTube channel – please let me know which ones you like better! I am also working on getting a little bit better at explaining what I’m doing and why…although half the time I don’t even know why I do what I do when I paint. After I painted the first flowers painting, I had a lot of left over paint and figured I better do something with it…so I made a second video. This painting turned out great and it was literally painted in under 4 minutes. 4 minutes! I had to be somewhere…so I painted quick! It was actually really fun to paint as crazy fast as I could and use up all the paint…I might have to do that more often! I know I struggle sometimes with indecision when I’m painting, so giving yourself a deadline and a goal is one way to get around that! I seriously didn’t even think while making the second video, I just put paint on the paper as fast as I could. After the paint dried, and after I got back from where I had to go, I did come back and spend about 5 minutes just doodling over the flowers painting with Uni-Posca markers. I couldn’t resist the temptation, and I love using the markers and pens in my art. And again, the results were great. I just love it! It’s one of those quick impromptu things I didn’t plan to paint and it just makes me happy looking at it. It’s a 9 minute masterpiece! You can watch this full version of this speed paint acrylic flowers video from start to finish on YouTube. I didn’t even speed the video on YouTube up – just painted FAST. Painting Pretty Abstract Flowers is Quick & Easy! These two paintings seriously were very fun to make, and I’m already wanting to paint more of them. They are so easy and fun to make so I hope in watching these videos you’ll be inspired to try making your own! A lot of people ask me about the different supplies I use in my art, so here are the different things I used in making the two videos linked to above. 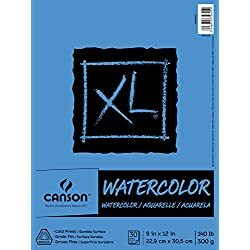 Canson XL Watercolor Paper: Heavy duty paper perfect for all sorts of mixed media projects. 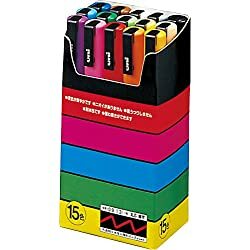 Uni Posca Fine Point Paint Markers: I love, love, love, love these markers ever since a friend introduced me to them many years ago. 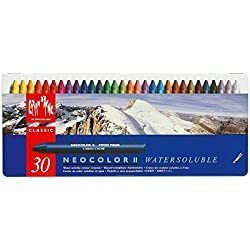 They are very fun to use for all sorts of doodling and all kinds of things. 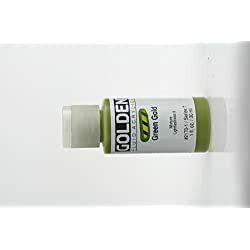 Golden Fluid Acrylics: While I mixed different paint types and brands in the videos I created, I do know I love the Gold Green fluid acrylics paint for these flower paintings. Do you have any questions about making art? Are you going to paint some flowers? I hope so and I’d love to see what you create! Ask your questions below or join our Facebook group to connect.